GK Hit Music-functional template gantry from the Polish design studio GavickPro. 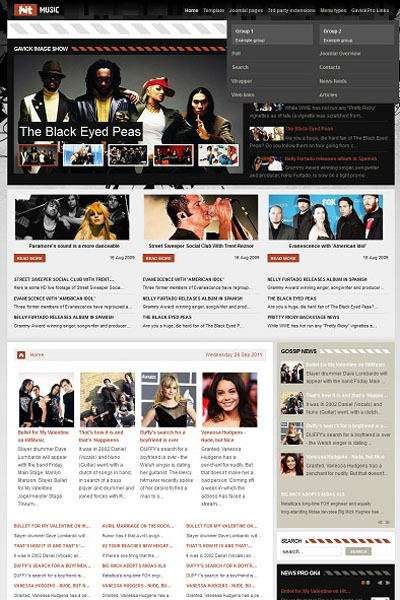 Original design template, designed with all the modern requirements, perfect for creating a music catalog of mp3 files with the ability to download free music. The template contains a number of club extensions, allowing a flexible way to display the content on the site. Modular design layout includes more than 30 module positions, there is a 3-column layout and several variations of modules.